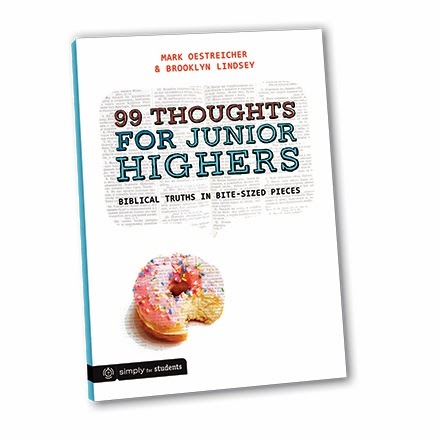 10 Days Away: A Book for Junior Highers!!! Seriously guys, I can’t believe it, 10 days! So anyway, it’s just 10 short days. 10 days stand between me and the epic mini doughnut cover that I’m absolutely beyond words thrilled about. How rad is a tiny doughnut? Tiny doughnuts are ALWAYS rad. Even more rad, when there are 99 thoughts inside. December 2nd is the day we’re able to offer a book dedicated to the people I have fallen for over the past 13 years. The most energetic and squirrelific humans in all of the world. The visionaries. They are often without boundaries. They are most truthful with opinions, daring in their questions, compassionate in their responses, and developmentally exploding. They aren’t afraid to take a risk or be bold. They might be fine with quiet, I’ve seen some hold so much wisdom that you think that they are old. They are junior highers. And I love them. So. Very. Much. We were on a tight deadline. There may have been more than a few up-til-3AM writing sessions. I may have organized my socks and sorted my clothing drawers a gazillion times procrastinating because this one was just too good to be true and I didn’t really want to mess any of it up. This one is for them–the peeps in the seat. If you’re an adult reading this post, will you help me share it with them? If you’re a student reading this post, will you help me share it with your friends? I’ll be posting an Instagram countdown every day until December 2nd. Like it up and tag friends if they are in junior high! Pin or share this blog for anyone who knows someone in 5th-9th grade! news on how to get one of those in the next week. Thanks for getting excited with me on this one. I’m too giddy not to share. Yessssss! I’m such a junior higher sometimes. What a cool thing to be!